Muscle Aminos RTDs are here! 30 Oct Muscle Aminos RTDs are here! You can now follow up our Power Pump with the best Muscle Recovery formula on the market in Muscle Aminos. 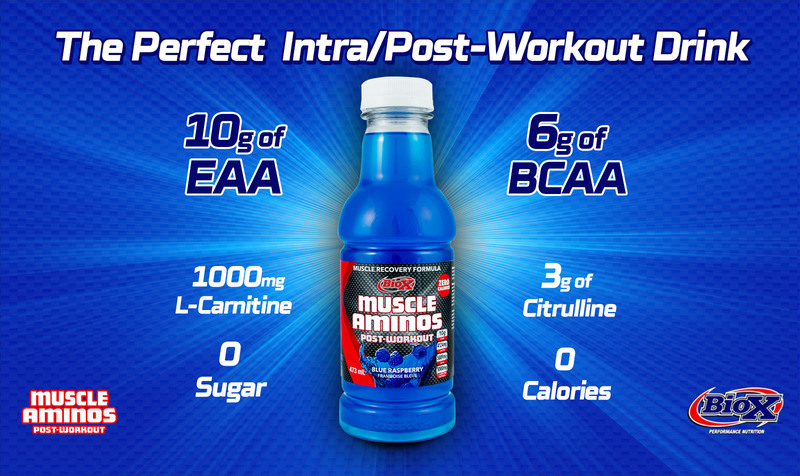 Muscle Aminos is the perfect intra/Post-Workout for everyone. Check out a more detailed look at our newest addition to our lineup of delicious and nutritious products HERE!